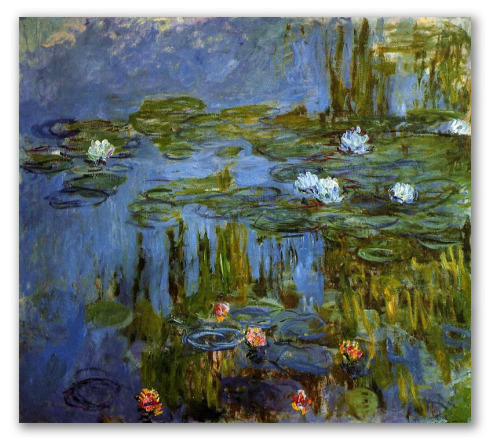 "Water Lilies" by Monet. Hand Painted Reproduction. 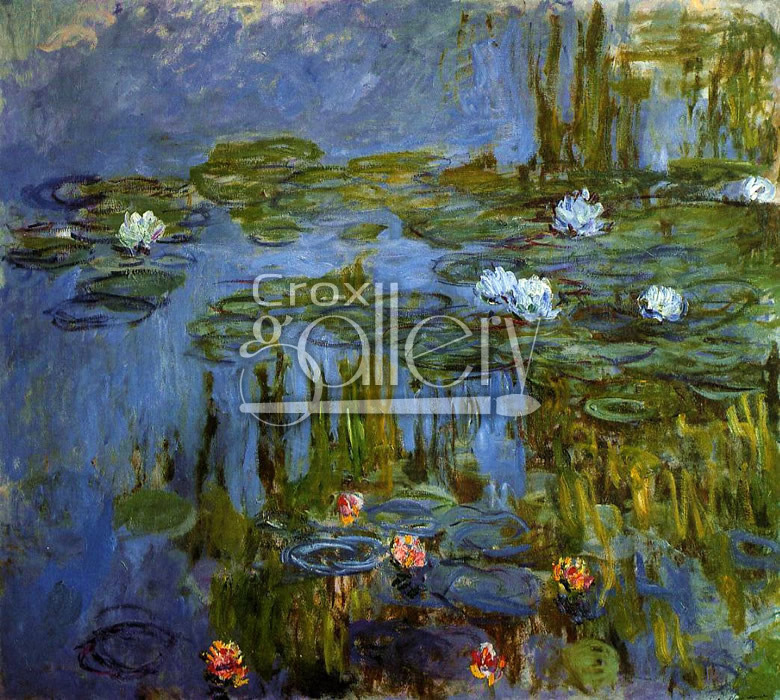 Water Lilies is a painting that displays a contrast of lily flowers in a marsh. Impressionist painting by Claude Monet.